DENISE EMMERICH will be hostessing this swap. Due Date will be February 28th. Here are the basic instruction for creating this fun and useful notebook. PLEASE DO NOT POST COMMENTS ON THE TUTORIAL - POST ON THE SWAP THREAD ! THANKS ! 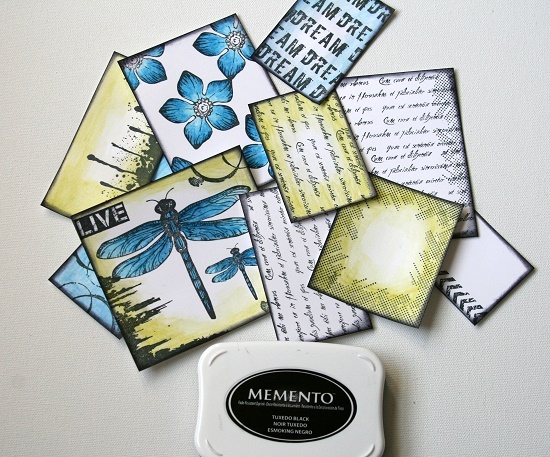 You will create one using your papers and stamps that you have on hand, and also add embellishments. Surprise your partner with something very unique ! Find out what kind of theme she would like, or just use one of your own choosing. 1. 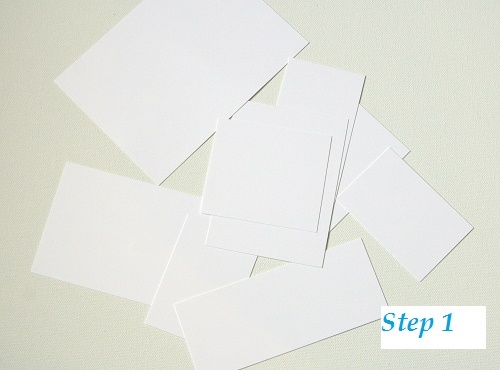 Cut out a variety of good quality cardstock squares and rectangles . You can use white or patterns...it is up to you ! 2. 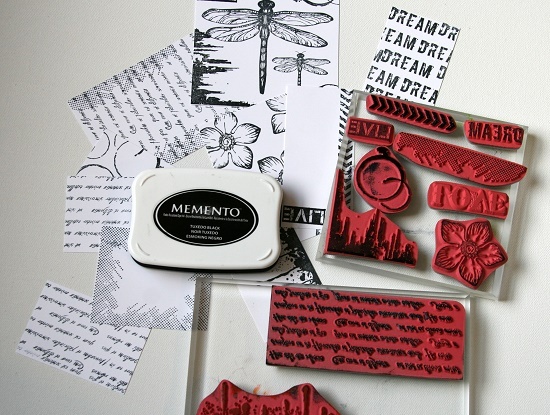 Stamp the plain blocks with ARCHIVAL INK ( so it wont rub off or smear ) with a variety of images . 3. Color the stamped images and ink the edges well with ARCHIVAL INK. 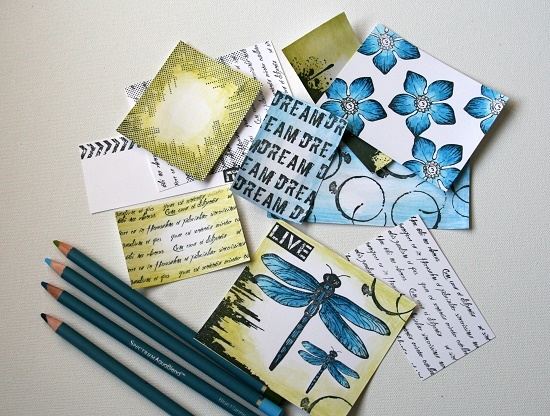 You can also choose to back up your images with black or a dark color of cardstock . 4. Arrange the images in a pattern that you find pleasing and glue them securely in place. 5. After everything is very dry - coat your blocks with a layer of MOD PODGE or other clear coating to help preserve it . 6. When the notebook is full, the cover can be cut off the old notebook and then glued onto the front of another one - so it can be used again ! 7. Please feel free to be creative and add BLING or Ribbons, or whatever you wish ! A few years ago I made a clipboard and covered in original modge podge. I let it set a few days then used it. Paper stuck to the cupboard and ruined it. Has anyone else had that problem or is there a better sealant? @lhunter wrote: A few years ago I made a clipboard and covered in original modge podge. I let it set a few days then used it. Paper stuck to the cupboard and ruined it. Has anyone else had that problem or is there a better sealant? 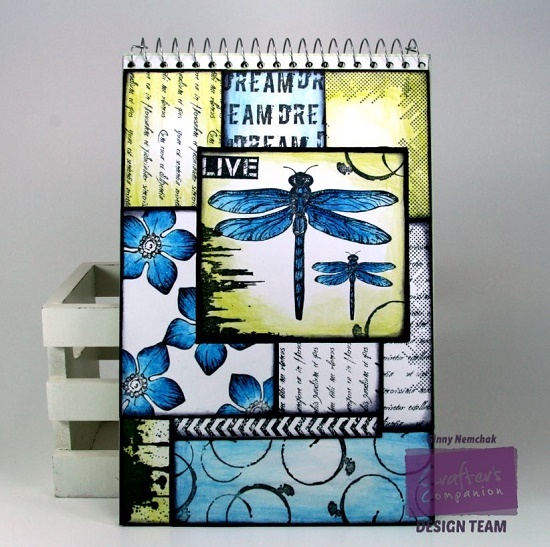 Laurie - I think that there is a newer Mod Podge which can be heat cured and will not stick... I will check on this. I know that the one which is for Glass and is Dishwasher safe is like that.